Incidents of opioid analgesic overdose are increasing to enormous levels on a daily basis. Opioids are a combination of natural, partially synthetic, or synthetic drugs that have been chemically synthesized in laboratory settings and derived from the poppy plant. Because of the different characteristics, formulations, and duration of the variety of opioid agents used in pain management, overdosing has become a major issue. Opioids are used to help patients cope with pain and they can easily cause physical dependence. This means that a person becomes reliant on the drug to prevent the difficult symptoms of withdrawal. Withdrawal from opioids can occur when there has been any kind of chronic use and that use is reduced or discontinued. Anytime there is withdrawal from opioids it is usually associated with a lot of pain for the patient. This causes the patient to crave and want to return to use of opioids and they usually return to using with increased doses of the drug. Most opioid overdose deaths in patients usually occur during withdrawal or detox. Because a person’s tolerance to a drug is reduced during withdrawal, those who have just experienced withdrawal can overdose on a much smaller dose than they normally take. Patients that experience chronic pain often have psychiatric disorders, thus causing them to have higher doses of opioids plus other medications for depression and anxiety that can lead to overdose risk. Opioid analgesics can cause both physical and psychological dependence in patients at an alarming rate. 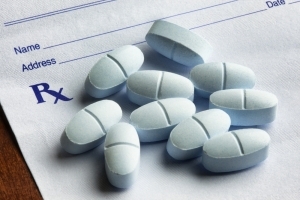 Opioid analgesics patients receive (Roxicodone) as part of therapy treatment for their pain and this treatment is gradually discontinued over time to prevent narcotic withdrawal. (Roxicodone) has a severe side effect of vasodilatation which reduces cardiac output and blood pressure which is very dangerous to the patient’s health. The new medical marijuana laws have been exceedingly vital to adding another alternative to opioid analgesics and the withdrawal issues behind them. Medical marijuana is now an alternative that patients can turn to when looking to alleviate pain and discomfort and it is four times less addictive then the common opioids available. Medical marijuana can provide the same relieving affects to patients in many different areas and be highly beneficial during the withdrawal process for some patients. This alternative can be directly controlled by the technician and the patient’s health can be directly monitored to adjust the strain and type to meet the needs of the patient during the withdrawal process. This new alternative can also be extremely important to the patient in providing alternatives to help prevent opioid analgesic overdose in patients. Please find information in your state about Medical Marijuana Laws and how they can assist you, if you are facing these issues.